Time to ditch the car…? We’re getting very excited about the new Gloucester car club, which has just recently been opened, after years of contributions from developments in the city. Section 106 planning funds have been brought together to fund the provision of 5 car club cars, all positioned around the city centre, and all within roughly 20 minutes walk from our house! 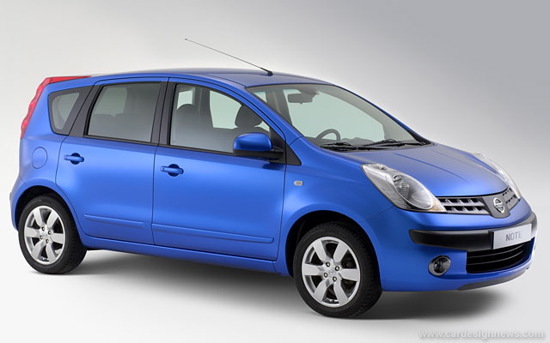 So, the scheme is being run by commonwheels car club, and the cars are all Nissan Notes, all brand new and which seem a good size. We went on a mini hunt while coming back from the shops yesterday and Claire jumped out and had a look inside one of them! The scheme involves a £25 one-off joining fee and £4.25 per hour to hire the car, with a 0.19p per mile fuel charge. There is also a £5 minimum monthly spend + a £15 one-off additional member fee for the smart card. When this is compared to the £2,000 a year cost of running our car at the moment, it could really save a lot of money and hassle. If you consider the tax, petrol, MOT and servicing, and the time it takes to organise things, the ease of just booking the car club car then just leaving it would be amazing. It cost us roughly £170 per month at the moment to run the car and this is one of our biggest costs. This month we have paid £85 in petrol! In terms of sustainability, we would be using the car less (as it wouldn’t be parked right outside the house) and also sharing the cars with everyone else in the centre. There would be less CO2 being emitted as most of the processing associated with the running of the car would be shared. Another part of the process is to use the money we would save to buy bikes for Claire and I + a pull along shopping carrier buggy, which we could load up for trips to the supermarket etc. They can also be used to carry a child, but we’re not sure about this yet! This entry was posted in Family, Finances, Sustainability & environment and tagged car, car club, commonwheels, gloucester, nissan note, sustainability by MattyH. Bookmark the permalink.